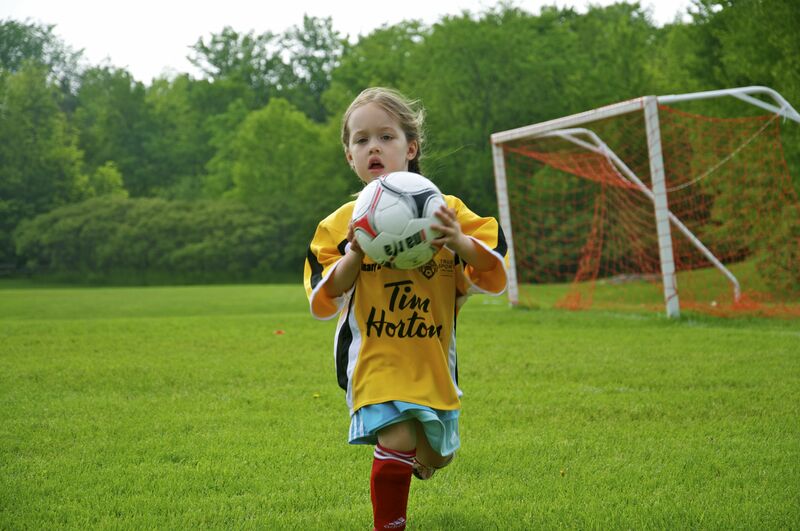 As a youth soccer instructor in Montreal I am fortunate enough to witness everyday moments of perseverance, humanity, and acceptance from a very diverse, yet very homogenous group: Canadian children. The soccer courses are offered from a community centre in the Plateau district basically in the heart of Montreal. While we devote a great deal of time to drills aimed at improving basic soccer skills and athleticism, we also try to instill a sense of fair play, sportsmanship and cooperation. But to be honest, cooperation seems to come pretty naturally to these kids, which is amazing (at least to an adult) because they come from such fundamentally different backgrounds. The children I’ve taught have spoken combinations of English, French, Hindi, Japanese, Arabic, Portuguese, Italian, Russian, Greek, Spanish, Punjabi, Urdu, German – to only name a few. They’ve been Protestant, Muslim, Jewish, Catholic, Agnostic. Black, white and every shade in between. Some families have been here for generations, others are recent immigrants. The kids (and their parents) interact in French, English, hand gestures and smiles. It’s a great community environment where everybody gets along. Everyone, especially the kids, are interested to learn about other cultural backgrounds and have such an easy time picking up new languages. Relationships and community are forged. It’s a strong mosaic that’s representative of who we are. Provincial politicians like Pauline Marois and Pierre Curzi are putting politics where they don’t belong. They’ve both stated recently that the NHL’s Montreal Canadiens need more Francophones on their roster. Professional sports build a sense of community in cities and entertain hard working citizens. By thrusting politics into play, they’re not only creating societal divisions they’re adulterating an institution that can make people feel young again. Sports like my students intrinsically know are fun. They’re happy with their teammates (as long as their teammates don’t push, grab or constantly emit a high pitch scream) because the game is fun. Life too is fun or can be if you let it.Kids are excited to learn, play, exercise. They’re great at meeting new people and finding similarities to build on not differences to divide. We build walls, they climb over them.It’s time for our elected officials to learn something from our kids. No more us versus them. Less politics. More play.